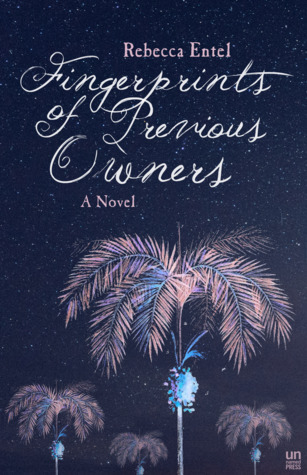 Goodreads: At a Caribbean resort built atop a former slave plantation, Myrna works as a maid by day; by night she trespasses on the resort’s overgrown inland property, secretly excavating the plantation ruins that her island community refuses to acknowledge. Rapt by the crumbling walls of the once slave-owner’s estate, she explores the unspoken history of the plantation—a site where her ancestors once worked the land, but which the resort now uses as a lookout point for tourists. When Myrna discovers a book detailing the experiences of slaves, who still share a last name with the majority of the islanders, her investigation becomes deeply personal, extending to her neighbors and friends, and explaining her mother's self-imposed silence and father's disappearance. A new generation begins to speak about the past just as racial tensions erupt between the resort and the local island community when an African-American tourist at the resort is brutally attacked. Kritters Thoughts: Myrna works as a maid at a resort that is on an island that she has lived on her entire life. She has a feeling that there is more to this island than the resort and that things are being covered up. She risks about everything she has to find out the truth. I liked the concept of the book and I liked Myrna. The execution and the writing just didn't completely hit the mark for me. I rarely say this about the book, but I wanted more descriptions of the people and the setting. I wanted to "see" this place more clearly and the especially wanted a little more of a picture of the "natives." For most of the book, I kept thinking about a resort I visit in Jamaica and had all these guilty feelings about the people who work there and going to a country where people live below the means that I do and vacationing there. With these thoughts that I couldn't get past, I just couldn't enjoy the reading. If you are new to the blog, I try hard to find a reader for each book I read even though it may have not been for me. For this one, I would say if you like short and sweet books that don't dive too deep this could be for you. If you like the slowest of burns, and then a sucker punch at the end, then pick this one up.